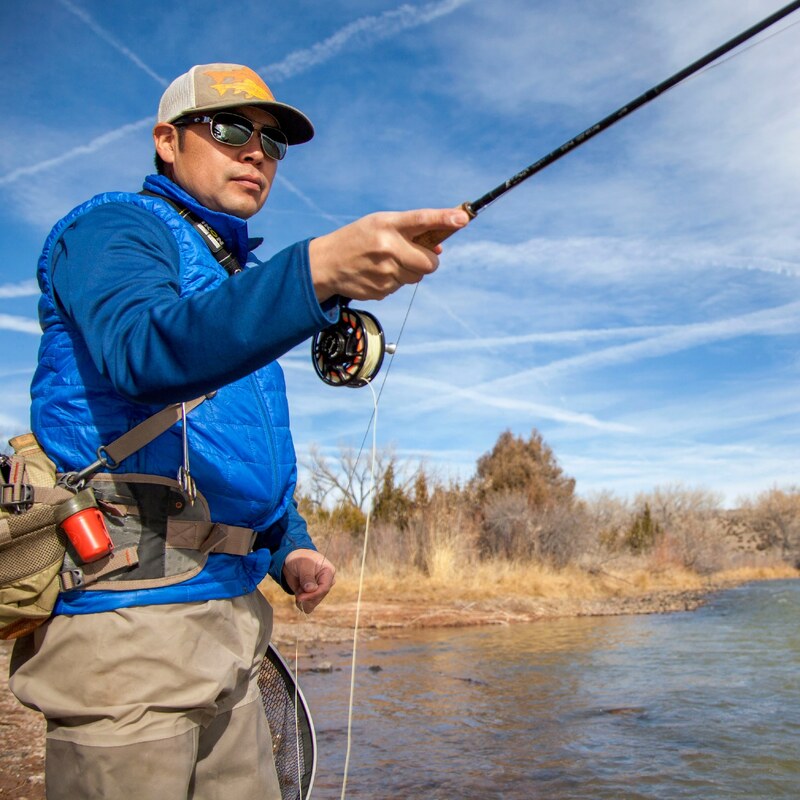 Join world class fisherman Norman Maktima (San Felipe/Laguna/Hopi) in a demonstration in the art and aesthetics of fly fish tying, in which Maktima will discuss his practice and participants will be guided through a creative process. This event is limited to 30 participants with a fee of $5. A northern New Mexican, Maktima spent his youth hunting, hiking, camping, and mostly fishing. At the age of seven he took to the fly rod and has fished his way across the world. Apart from guiding, Maktima loves to teach aspects of fly-fishing skills and techniques, ranging from casting, rigging, euronymphing, standard and loch style techniques, and fly tying. As a result of his competition experience, Norman has developed several flies as a signature tyer for Umpqua Feather Merchants. In 1997 he was recruited by the Youth Fly Fishing Team USA and in his first year of competitive fly fishing won the individual gold medal. He is currently on the Fly-Fishing Team USA’s roster competing in Sweden, Slovakia, Italy, Slovenia, Norway, Czech Republic, Bosnia and the United States for the World Fly Fishing Championships. At the Slovenia World Fly Fishing Championship, he finished in 6th place out of 105 competitors. He has competed in numerous national and international World Fly Fishing Cups and Championships from 1998–2018 both individually and on team USA, where he has accumulated numerous medals and accolades.